You can have the most fantastic products, but you also need the right tools to get the best from them. This couldn't be more true for something like eyeliner. So this week's MAC Monday is all about one of my favourite MAC brushes. In contrast gel eyeliner gives a similar look to liquid, but you can apply it slowly and build the line slowly. The key to this is finding the right brush. Many gel eyeliners don't come with a brush when you buy them, so you need to make sure you have the right one in your toolkit. 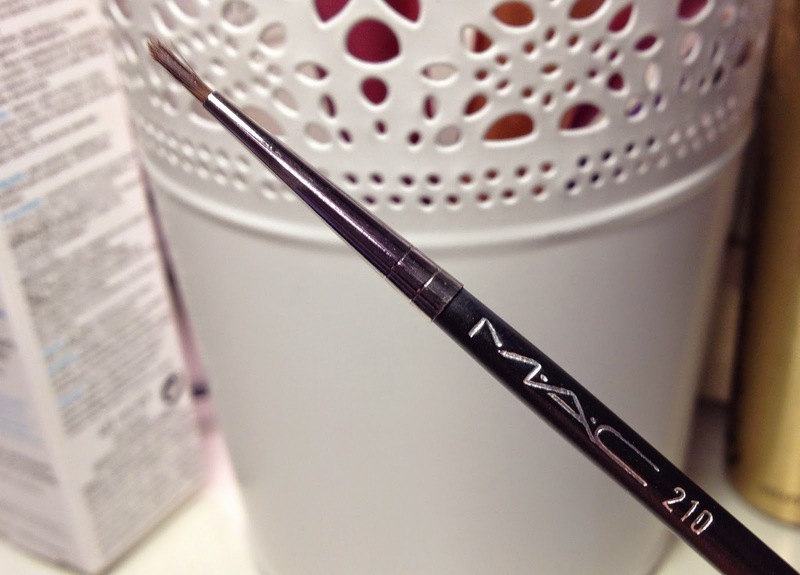 For my money, the MAC 210 Precise Eye Liner Brush is it! The MAC 210 Precise Eye Liner Brush has a long wooden handle which makes it easy to control in your hand. The brush is very fine and tapered and allows you to create a really precise line in either gel, powder or cream products. I love the effect it creates! The MAC 210 brush comes with a small plastic tube to replace over the brush to protect the fine point from getting damaged - it is really fiddly to get it back onto the brush but well worth it. When I first ordered the brush I wasn't really sure how much I would use it, but I can now say it is one of most used brushes and is the best fine liner brush I have found. Of course, like all MAC brushes - it isn't cheap but I think it has been a good buy. Several of my friends have tried gel eyeliner and have told me that they can't apply it, but then it turns out they are trying to use a really chunky brush - so no wonder! 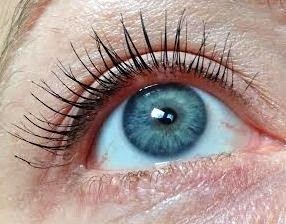 Why spend £18 or so on a high end liner only to abandon it because you can't apply it precisely! You can use an angled brush, but the MAC 210 is perfect for beginners. Have you tried the MAC 210 - which are your favourite eyeliner brushes? The MAC 210 Precise Eye Liner Brush is £16 HERE. Absolutely! Hope you find it!! !